Algorithm produced Internet WatchDog® to address the sensitive issue of children's access to questionable material on the Internet. It is designed to monitor general computer and Internet activity, leaving the choice of right and wrong to parents and teachers. 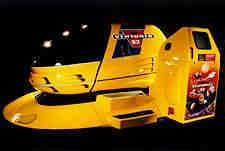 It has also been used by managers to increase employee productivity. Internet WatchDog® allows users to capture screen shots of computer activity at predetermined intervals. It records all system functions and maintains logs of screen shots. It runs on any PC with Windows 95/98 and any Mac. It is tamper-proof, with a password which enables parents to access the activity log and screen captures. stated, "[Internet WatchDog®] works. It's a superb piece of software." 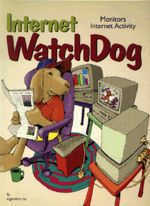 Internet WatchDog® is available from Amazon. 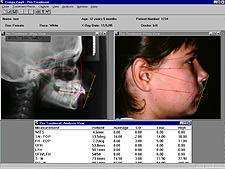 Algorithm developed Compu-Ceph® and Create-It!® - Present-It!® as a suite of Microsoft Windows-based tools for orthodontists and oral surgeons to build personalized case presentations. 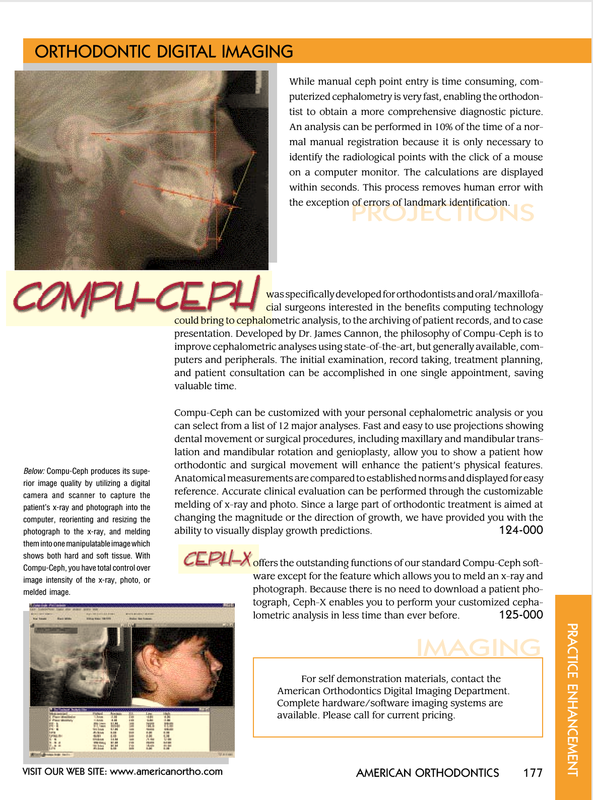 Compu-Ceph®, the cephalometric analysis program, was the first of its kind to automatically superimpose both x-ray and photograph into one manipulatable image, simultaneously showing both hard and soft tissue. It uses predictive data analytics for clinically accurate hard tissue movement, in order to morph the patient's profile and demonstrate the results of the proposed treatment. Studies have determined that first-hand visual presentations reduce patient hesitation by focusing them on treatment objectives. 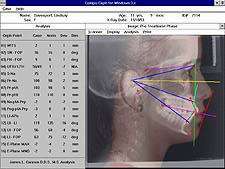 The surgical and growth projection features of Compu-Ceph® make it a useful diagnostics tool, and the computerized cephalometric analysis saves both time and money. Together these products streamline the way orthodontists gather, present, transfer and archive patient data. The system also saves time because the initial examination, record taking, treatment planning, and patient consultation can be accomplished in one appointment. The suite of tools were successfully marketed by , the world's third-largest dental & orthodontics supply company. See their catalog entry. The suite received the 1996 Merit Award from the Wisconsin Society of Professional Engineers for "professional engineering initiative and innovation." These products were sold to and expanded by F.Y.I. Technologies, as Dr. Ceph and Dr. View. Algorithm was commissioned to design an affordable virtual reality gaming system with the footprint of a pinball machine, which would deliver 3-D stereo immersivity without an attendant or head-mounted display. The Kimera® gaming system and the Pyramid Pilot® game were the results. Algorithm utilized its extensive knowledge of human perception to create a solid visual system and a believable virtual environment. Algorithm also contributed significantly to the design and development of the hardware components and developed a modest API which allows other content providers to realize their games on Kimera®, providing greater potential income for machine owners. called Kimera® and Pyramid Pilot® "the most revolutionary of all the current designs available." 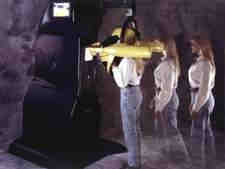 The Entertainment Systems division of Thomson Training & Simulation, one of the world's largest manufacturers of advanced technology entertainment simulators, contracted Algorithm, Inc. to convert its videodisk-based Venturer S2® motion ride into an immersive and interactive game machine. 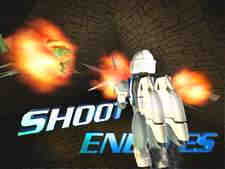 The simulator incorporates high-quality 3-D computer graphics coupled with motion technology. Algorithm designed the appropriate hardware modifications and control system, and developed a modest Application Programmer's Interface (API) so that other game and content providers can quickly and easily move their games to the Venturer S2i® Interactive system. 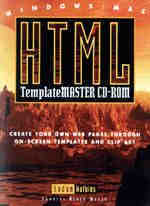 HTML TemplateMASTER CD-ROM was one of the first learning aids for personal web programming for the Mac and PC. It was American Bookseller's Choice in New Media for spring 1995. The HTML TemplateMASTER supplies interactive on-screen tutorials and a variety of tools for web page production, including design templates, utility applications, source-code compilations, forms, worksheets, questionnaires, and clipart. General instructions also include tips on style, anchors, bookmarks, and graphics.